No doubt twitter is a best platform to drag traffic to any site. But the traffic from twitter needs large number of followers who can retweet your message. 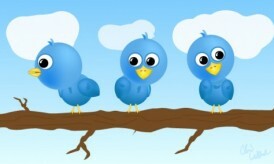 It is quite difficult for new people joining twitter to arrange large number of followers. 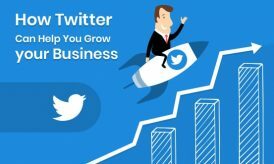 So, if you are in hurry to increase twitter followers and number of retweets, here are some services that can help you to achieve the goal. But while using the services, keep in mind that you are not going beyond twitter terms and service and twitter rules. Hitfollow is the service which can increase 100 followers a day with free plan and 3,000 followers in 3 days with VIP plan. You just have to choose a plan and accept their program policies. Within a few hours you will be loaded with lots of followers. LetGetMoreFollowers offers upto 100 followers with basic plan which is free and upto 1,000 followers per day with VIP plan. In return they will send a promotion tweet from your account in every 4 hours. Login in with twitter account and get followers just simple as it is. 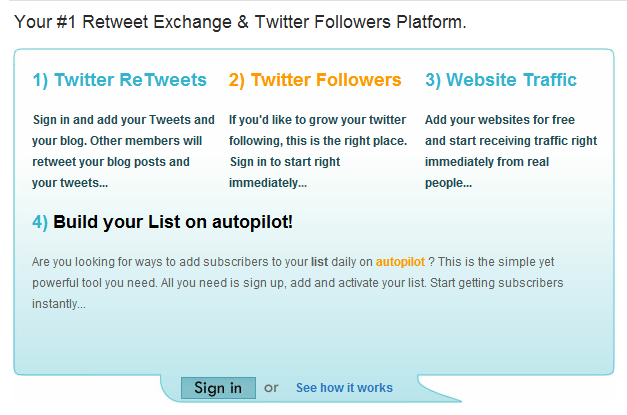 With spreadyourtweets, you can increase 48 followers per day for free and new followers every minute as premium member. 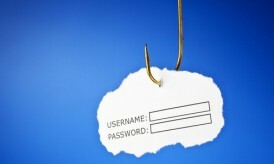 With premium membership, you don’t have to disclose your twitter password. 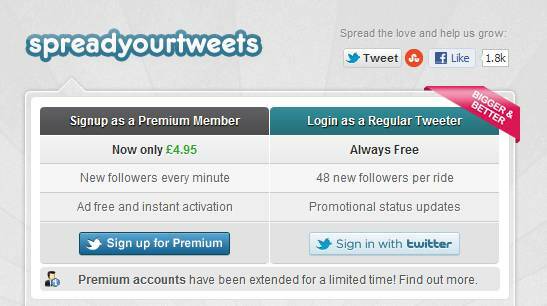 Only twitter username is enough for premium members but free members should authenticate twitter account. Twiends is completely different from above 3 services. You are provided with seeds and can increase you seeds by following others. With the seeds you can offer people to follow you. The best part of Twiends is it allows following or having followers from termed country and interests. You can even buy seeds from VIP package. EasyRetweet basically increase number of retweets but it also provide services to increase twitter followers. Like Twiends, Easy Retweet offers some credits for retweeting other members tweet and for following. With EasyRetweet you can share your tweets with large number of people in comparatively very less time. ManageFlitter is bonus service for you. It can help you to clean your twitter account by unfollowing people who are not following you. 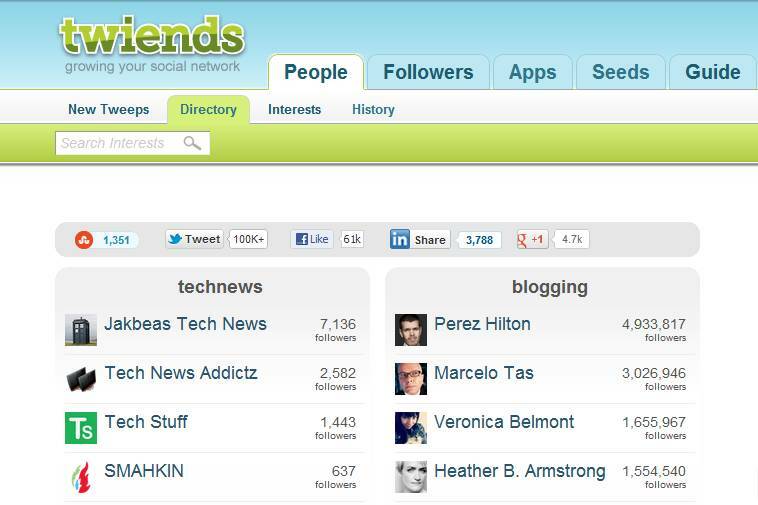 You can also find people those unfollowed you, link your Google Plus account with twitter and manage account with twitter analytics. If you are using any different tools or services to increase your twitter followers, do share with us in comments. Previous story Why Not Be a Friend with Google Penguin? You share very useful post here to increase followers and retweets. These sites are really very useful. I definitely use one of them to increase followers and retweet. Twitter is the best platform to get more traffic to our websites. Yeah, absolutely twitter is the social network. But take care of twitter rules. Thanks for dropping by! Well, I was concentrated on services so, didn’t included software. I’ll soon write for software’s that can increase followers. Thanks for stopping by and commenting! That’s certainly a useful article, Having huge numbers of followers on twitter certainly play vital role in your marketing objectives. Totally agree with you, Marketing are somehow dependent on social networks and twitter is on top. Thanks for your comment! The author i.e. Anand Singh needs to complimented for compiling such beautiful links which provides free twitter followers and best part is that it works. Great going. Keep up the good work going forward !! Thank you for your kind words, mate. Hope the post must have helped you! Thankyou for sharing tips to increase twitter followers and retweets. I think, twitter is the best way to spread your words and that’s why I always interested in finding out way to increase my twitter followers. Thanks for sharing your information with us. 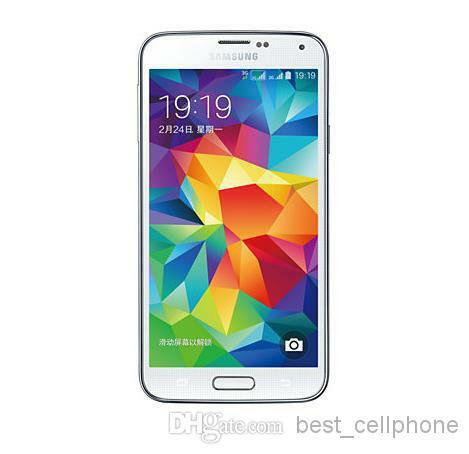 Yeah, absolutely twitter is best and fastest social network to spread information world wide. Thanks for your comment Syeda! Re-tweeting helps gain more followers to our twitter account and also it helps spreading our links in the world wide web which I really love most. This post is very helpful to everyone, especially in the SEO world. Even the tools mentioned can help you to gain followers. Also retweets will drive traffic. Btw, thanks for commenting! 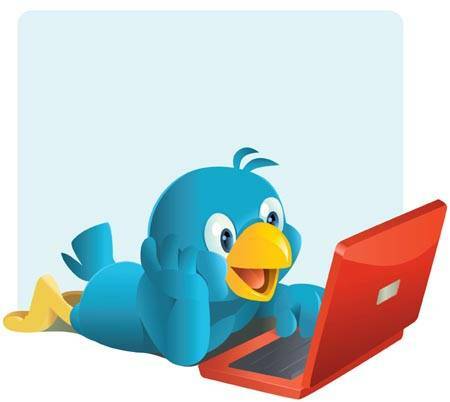 ManageFlitter is a great online program to handle your Twitter account. Once ManageFlitter is open click on start. On the next page click on Connect To Twitter. Fill in your Twitter information and click on Allow. It takes only a minute to get all the data from Twitter. ManageFlitter is one of my favorite tool that’s why i mentioned it here. Thanks for commenting! Good guide, it has been said above but I would also say that manageflitter is great for managing a large number of followers. I’ve also written a guide on increasing twitter followers so I fully understand the power of the retweet and the follower count ;). Really great collection of twitter tools. can you tell me which one is better among top 2 tools.